Artist Michal Blaser sent this today with some other image files. Michal's a friend of Don Sander who owns the CLYDE. Michael is doing a special painting of the BELLE OF LOUISVILLE in honor of her upcoming 100th birthday. 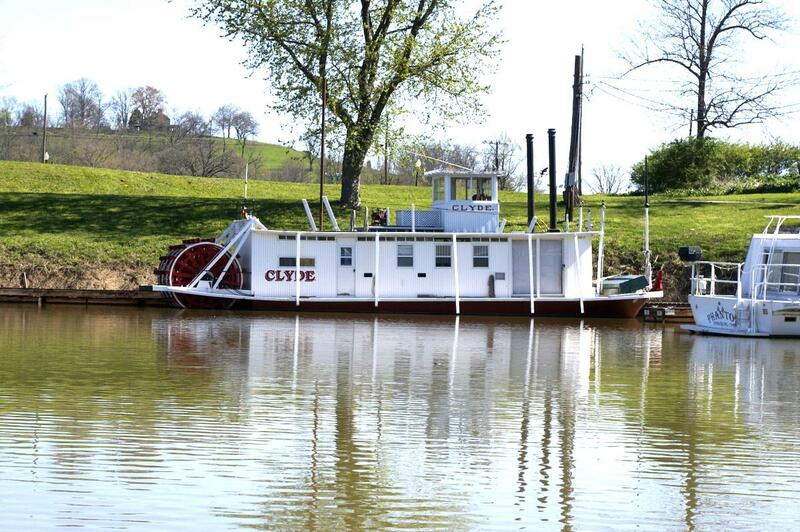 CLYDE was built by Ed Newcomb in Pepin, WI from 1991 - 2001. The CLYDE. 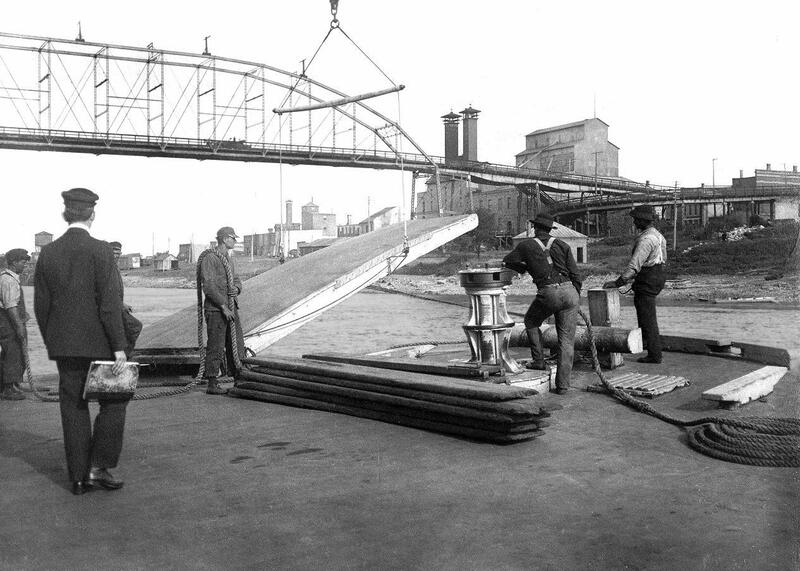 was named after the Rafter CLYDE., the first iron hulled boat (1870) on the Upper Mississippi River. Ed Newcome's grandfather, Frank Newcomb, was pilot on the CLYDE and his brother Ike Newcomb was Master. When Ed was a kid, his dad built a 20' sternwheeler with a 6 HP Briggs, and "this started the whole deal", Ed recalled. On May 17, 2012, Captain Don Sanders, long-time steamboat Captain; former Master of the DELTA QUEEN, the P.A. 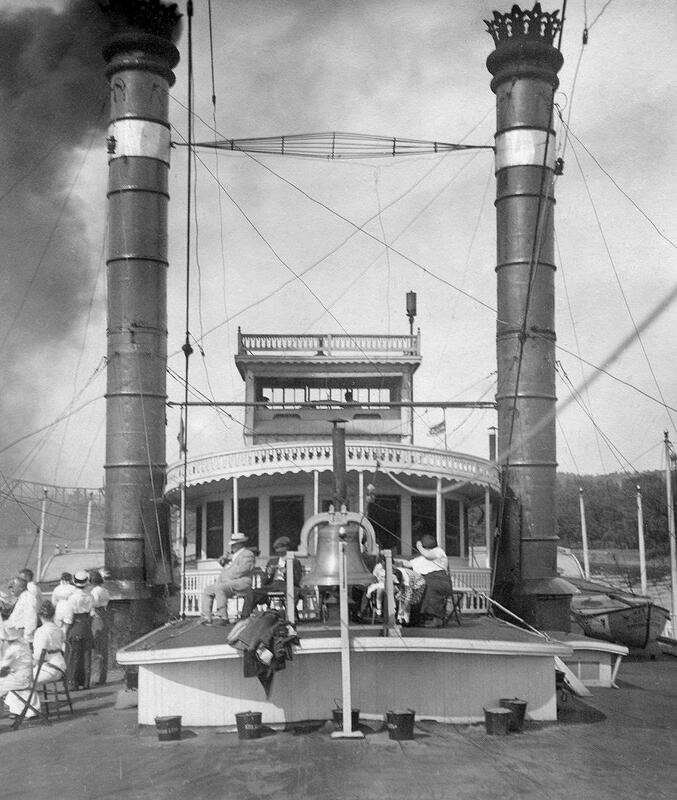 DENNY and many other paddlewheel vessels, bought the CLYDE from Mr. Newcomb and with the help of a friend, Everett Dameron, brought the sternwheeler under its own power from Alma, Wisconsin, on the Upper Mississippi, to Aurora, Indiana on the Middle Ohio River a distance of some 1,300 miles. The CLYDE presently calls Aurora home. From the Library o' Congress a photo of the BISCAYNE on the Miami River in Florida in 1901. Named for an Island called Key Biscayne just off the Florida coast. 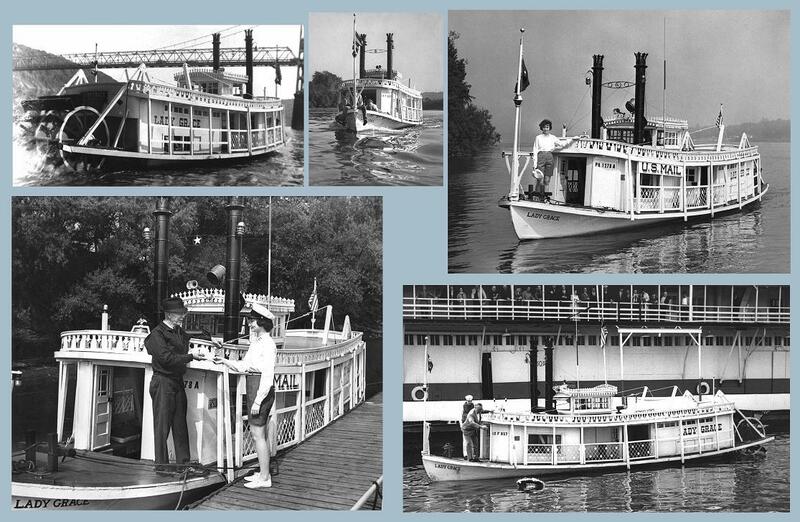 Four 3 x 4 inch snapshots taken of the MORNING STAR on the Upper Mississippi River Am pretty sure we had a photo and waybill on her on Waybills 4 but I don't see her there. These 4 can go together on one of the Photo pages. Originally ran in the Louisville-Evansville trade. She was taken to Cincinnati in 1910 and had 25 feet added to her length forward of the boilers. She then ran in the St. Paul-Davenport-Stillwater trade under the command of Captain Walter Blair. 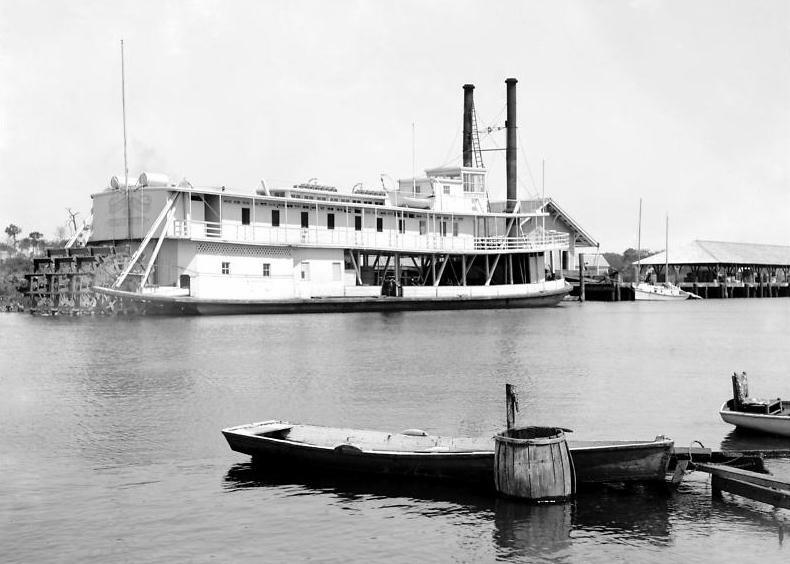 In the summer of 1911 she ran a special cruise from Davenport to New Orleans and out to the Jetties and return. A similar excursion planned for April 1912 was canceled due to high water; instead she ran an excursion from Davenport-Cincinnati and back. In May 1914 she made a special trip from Davenport to the Tennessee River. By June 1914 she was back running in her usual trade. In the fall of 1915 she made a tourist trip from St. Louis to New Orleans. In May 1916 she made a Davenport to Florence, Alabama trip. 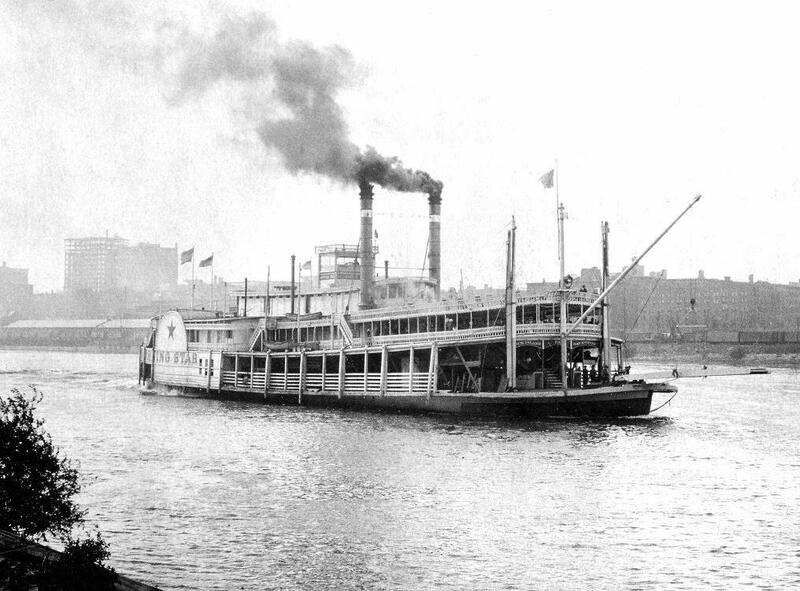 She was sold in spring 1918 to the Coney Island Company of Cincinnati to replace the PRINCESS. She was made into a full-scale excursion boat continuing in the Cincinnati-Coney Island trade until she burned at Cincinnati on November 4th, 1922. The fire was caused by a watchman boiling tar on the galley stove for roof repairs. Attached 4 snap shots of ladies taken aboard the MORNING STAR. The ladies were identified on the back of the first vertical photo upper left at center: Hetty Steingraber, Alwina Wolf, Margaret Duermeyer and Amalia Wolf. 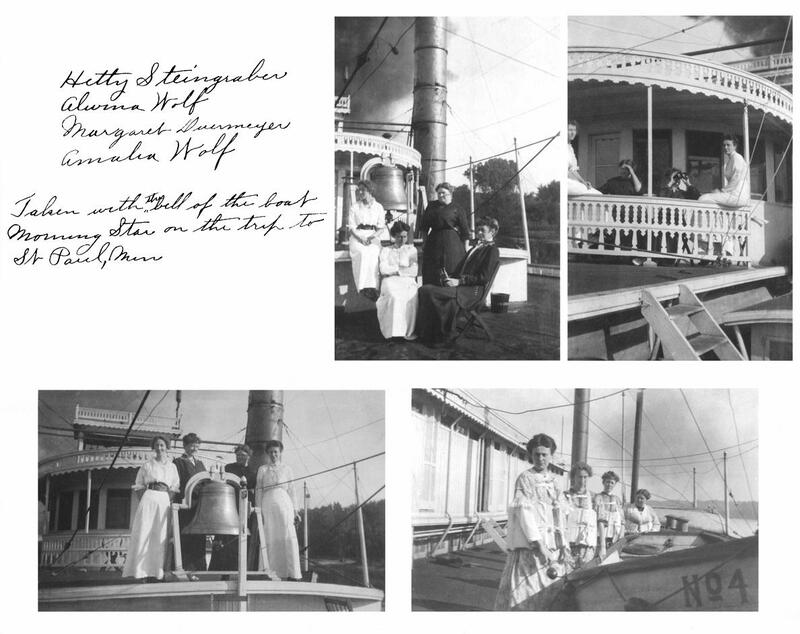 Photos feature the texas cabin, including the "front porch" and above in background, the pilot house, port side stack, smoke and life boat No. 4 which the ladies were ordered to board wearing life vests during "an awful storm on Lake Pepin" while the boat was on its way to St. Paul, Minnesota. 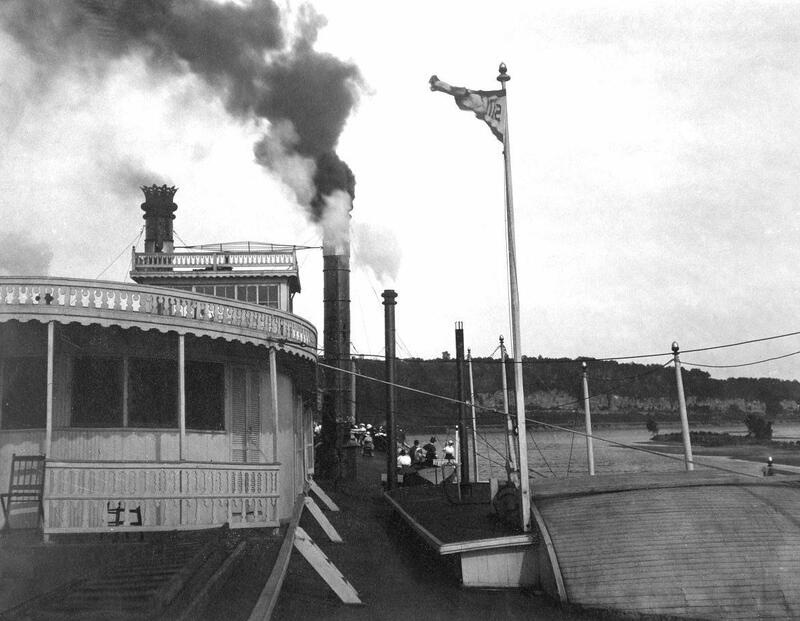 On June 20, 1963 the new U.S. Mail Packet boat Lady Grace will leave Wheeling that evening to re-enact a historic but commonplace event which occurred 100 years ago when West Virginia became the 35th state. A formal contract has been entered into between the U.S. Post Office Dept. and Walter McCoy, President of the newly organized Wheeling, Sistersville & Charleston Packetboat Co., of Sistersville, W. Va. to carry U.S. Mail between Wheeling and Charleston by way of the various cities along the West Virginia shore of the Ohio River. The Lady Grace is owned and operated by Capt. 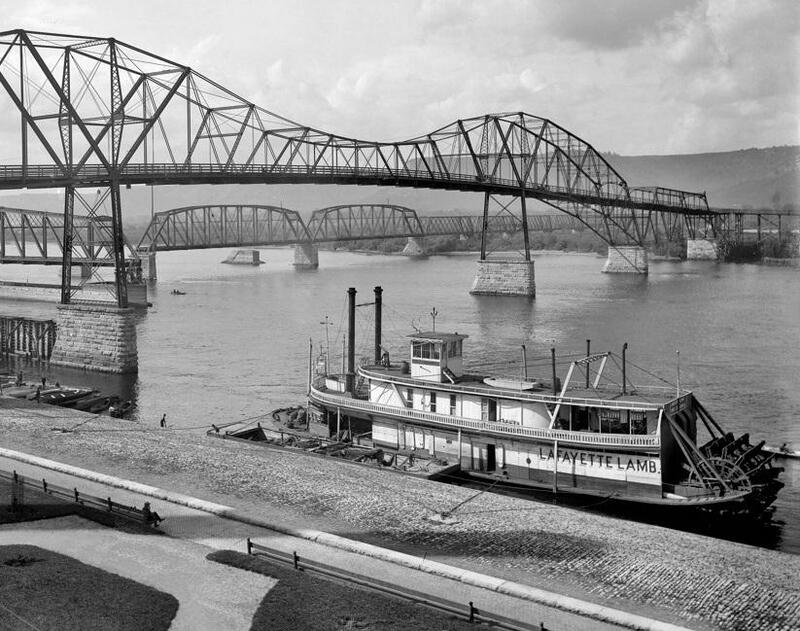 F. Way, Jr. who is well known in Marietta and who is the famous river pilot, author, historian as well as "Mr. Ohio River". The Lady Grace is an authentic miniature replica of the old-time 1863 sternwheel packet boat which operated on the inland rivers a century ago. Capt. Way will be assisted by Capt. Walter McCoy of Sistersville and President of the newly organized Packet boat company. Bob Henderson, Postmaster of Sistersville will act as "Route Agent" for the U.S. Post Office Dept. The new packet boat company has prepared an attractive cover to be used on this trip and the cachet will combine the West Virginia statehood theme with the river packetboat motif. In addition to the printed cachet each cover carried will be endorsed with a rubber stamp indicating it was carried by riverboat. The postage on all covers will be paid by using the West Virginia Statehood U.S. Postage stamp and the mail taken on at Wheeling will bear the "First Day" of issue cancellation. The Lady Grace will stay at Wheeling all day to receive mail and will leave late evening on Thursday, June 20, 1963 and will make stops at Moundsville, New Martinsville, Paden City and Sistersville on Thursday, June 21st. On Friday, June 22nd stops will be made at St. Marys, Williamstown and Parkersburg. On June 23rd stops will be made at Ravenswood and Pt. Pleasant and the final destination of Charleston up the Kanawha River will be reached June 24th. All mail picked up at the ten post offices on this route will be "back stamped" at Charleston upon arrival and will then be forwarded to the proper destination. For "First Day Cover" collectors and philatelists this event should be unique and of unusual interest. The last "packet boat" mail issue was provided in October 1929 during the celebration of the complete canalization of the Ohio River. People interested can purchase First Day Covers at .50 and the complete set of ten Covers including Wheeling at $3.50. This is what is known as a Full Service package offer. Photo taken by "Round and Round's" sharp-eyed camera on special invitation at the opening of the river celebration of the Pittsburgh Bicentennial, Saturday, May 9, 1959. Capt. John W. Zenn is casting a wreath in the Allegheny River from the Lady Grace; Sea Scout David Woodford is watching. Capt. Frederick Way, Jr. is in the pilothouse and the Sprague, the largest towboat ever built on the Inland Rivers, is in the background. 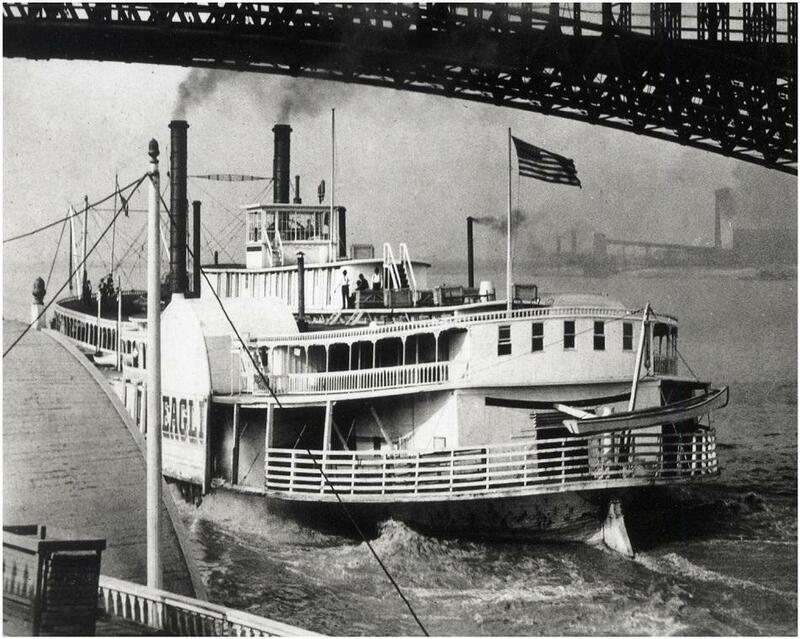 The Sprague was on a temporary loan for the Bicentennial from the city of Vicksburg, Miss. The Sprague's steam whistles are housed in Campus Martius Museum here in Marietta. I was given this snapshot along with a bunch of others years ago. The dramatic three quarters stern view of a speedy steamboat about to pass under the Eads Bridge at St. Louis was taken from the hurricane roof of another sidewheeler whose paddle box is prominent in the lower left quadrant. Had assumed for a long time that this was one of a number of boats that had "EAGLE" as their last name. The boat that most closely resembles this boat in the Murphy Library site is the second steamer called SPREAD EAGLE (1897-1910). The Murphy photo Number 35415 of that SPREAD EAGLE was taken from a similar angle but a lower vantage point. While there are many similarities between the two boats there are also significant differences which suggests they are not one and the same. Some of the bulkhead may have been missing just aft of the paddlebox which could explain why the horizontal portion of the "L" in EAGLE is missing and the last "E" is gone. However if the boat's last name ended with the letter "I", making the last portion of the word "EAGLI" then it suggests it had another name entirely, a mystery yet to be resolved.